Book Signing at Karpaz Gate Marina, in Yeni Erenköy, By The Author Yvonne Çerkez. 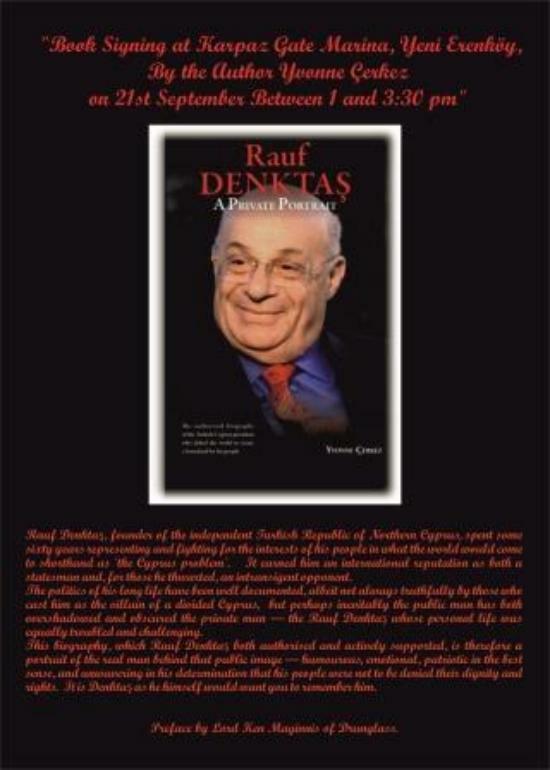 "Rauf Denktaş, A Private Portrait"
Highly recommended, this biography was intended to be educational and is a must on the bookshelves of all households, public libraries, schools and universities. A great gift for family and friends, considering Christmas is fast approaching! 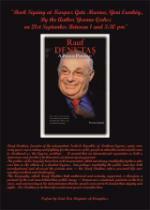 The paperback is priced at £9.99 and orders for hardcovers will be taken by request at this stage, priced at £22.00.